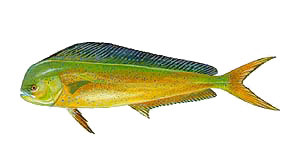 Sometimes called Mahi Mahi, dolphin will give you loads of action during the warm summer months. These fish range in size from what is known as bailers 2-5 lbs and gaffers 20 lbs and up. During the warm summer months these bailers can school up around anything that floats in the ocean. We offer them cut bait, mainly bonita and tuna belly, but they will normally eat most anything you throw at them. It is not uncommon to catch them one right after another with six on at a time. 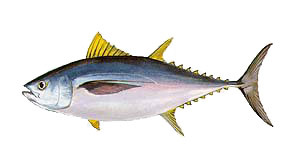 Yellowfin tuna are the mainstay of charter fishermen on the outer banks. These fish range from 15 to 70 lbs. In the spring and fall these fish can get from 50 to 90 lbs. We use many different tactics for these fish depending on their size and eagerness to strike the baits. We mainly troll for tuna with top water ballyhoo but occansionally we use spoons, planers and even tops water plugs on spinning tackle, spreader bars, green stick, and chunking. 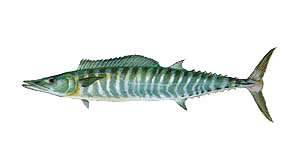 Found worldwide in subtropical and tropical waters, this exciting opponent is one the greatest of light tackle game. Sometimes taking to the air, wahoo average 30-40 lbs. but can exceed 100 lbs. Here wahoo are caught on trolled baits, natural or artificial.. Sometimes you may get a strike at a shiny swivel, losing an entire leader and bait, so it is a good idea to use wire rigs and lines when in the areas of wahoo. Bigeyes' depth make them difficult to target. Anglers will normally troll baits or lures around 100 feet deep at night, but bigeye are considered an unreliable target fish — even with a full moon. 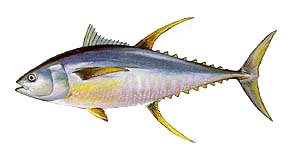 Like the other tuna, bigeye are strong swimmers who will sound when hooked. These fish are famous for tearing up the water long leaps and jumps. A BIG BLUE MARLIN on the line brings total excitement. 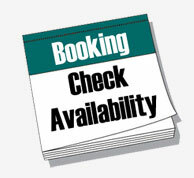 They are the most highly sought after gamefish in the world. Our waters can lay claim to some of the biggest ones ever caught in the world. These fish are caught on lures and dead baits. They will take off a hooked 30 to 50 pound tuna. Every summer there are many caught ranging from 100 to 1000 lbs and over at times. 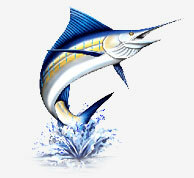 White marlin make up the majority of the billfish action we have here. They are a true challenge to catch and some say the most exciting species we target. 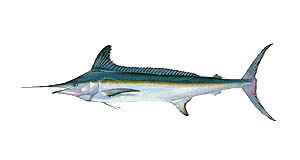 In the late summer and early fall big concentrations of white marlin normally stay in an area to the northeast of our inlet anywhere from 25-50 miles from Oregon Inlet. The runs are sometimes long, but the payoff is worth every penny if you get in the middle of them. We use very light tackle for these fish and often troll multi-colored teasers to entice them to strike. 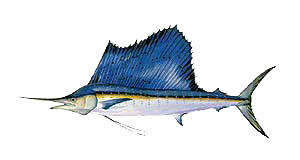 The Sailfish is found in waters up and down the coast from New Jersey to South America. 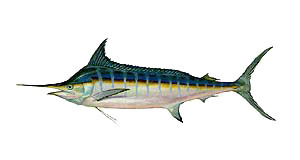 The main concentration of these fish make their home from Florida and points southward. Each year we catch more sailfish in our waters. These fish average around 50 lbs. and make a great mount for your wall. They are especialy fun on light tackle. 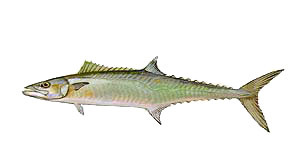 Kings are a schooling species of fish that range north throughout the Carolinas and Virginia. Certain times of year when the weather cools off and there is no tuna action we will fish for the kings in the shallower green water inside the of the gulfstream. They are great on the grill and make an excellent salad better than tuna salad!